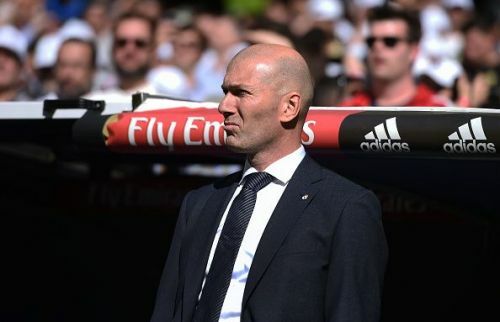 Having endured a miserable campaign and suffered the ignomy of seeing their season ended at the start of March, Real Madrid took the drastic decision to fire Santiago Solari and reappoint Zinedine Zidane. The Frenchman had achieved legendary status at the capital club first as a player and then even more so as a coach, masterminding the club's greatest successes in recent years from the Bernabeu bench. He departed in rather acrimonious circumstances last May but returned less than a year later to steer the cub back in the right direction. Zidane's return offers a promise of fresh beginnings for Los Blancos and as with any other managerial change, there are bound to be repercussions and changes in the playing pattern, with hitherto guaranteed first teamers needing to undergo new series of auditions. While a number of players would undoubtedly benefit from Zidane's return, there are others who are bound to suffer. It is no hidden secret that Real Madrid's squad is in need of a serious overhaul, with that being one of the factors behind Zidane's departure last year and reports suggest that he has been given the green light to proceed with his transfer pursuits. The three-time Champions League winning manager has identified a number of players that he is interested in, and Real would likely need to get rid of some players to facilitate these moves in order not to fall foul of FFP regulations. In this piece, we shall be taking a look at five Real Madrid players who might not have a place in Zidane's plans and might need to be sold off. James was signed in the summer of 2014 for £71m following his splendid performance at the World Cup in Brazil where he won the Golden Boot. The Colombian international was expected to become a mainstay in the Real midfield, but that failed to happen, as he struggled to cement a starting spot in the side, despite his status of being the 4th most expensive player of all time upon his arrival. Things went from bad to worse under Zidane, with the 28-year-old making just 22 LaLiga appearances (most of which came off the bench) during the 2016/2017 season. His lack of gametime prompted a two-year loan switch to German giants Bayern Munich in 2017 and despite initially impressing leading to speculations that the deal would be made permanent, things have once more gone downhill for Rodriguez. Repots of a rift with Niko Kovac as well as general dissatisfaction with the club indicate that his move would not be made permanent upon its loan expiration at the end of this season. The former Porto midfielder signed a six-year contact with Real in 2014, meaning that he would be entering the final year of his deal and the Bernabeu hierarchy would be keen to offload him rather than lose him for nothing next summer. Despite his struggles, James Rodriguez remains one of the very best playmakers in the world on his day and as such would not be short of suitors, with Arsenal and Juventus among clubs reportedly interested in him.